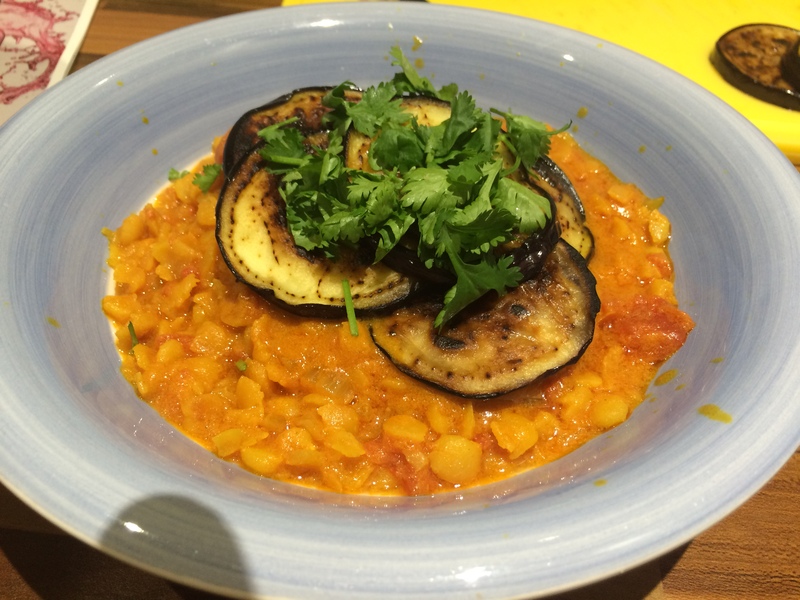 This recipe is for a simple dhal (using yellow split peas) for two, flavoured with cumin and served with aubergine extra flavour and contrast of textures. The aubergine itself is in season throughout the summer months (June to September) so is widely available in supermarkets and grocers during this time. Although it originates in the far east, it is easily cultivated in the UK (as well as across the rest of the western world) today. Their smooth, dark purple exterior has fascinated us for years and whenever eating always remind us of a smoked aubergine dish we originally tried in Istanbul. An interesting fact of the day is that the aubergine is actually classified as a berry rather than a vegetable. We did have some leftover, which we re-heated the next day and found to be even tastier (the flavours had all mellowed and merged slightly), which served perfectly as a light lunch with a wholemeal pita. Heat the oil in a large saucepan (one that has a lid). Fry the onion for 3 – 4 minutes, until soft. Add the spices, stir and cook through for another minute. Add the split peas, coconut milk, canned tomatoes and water. 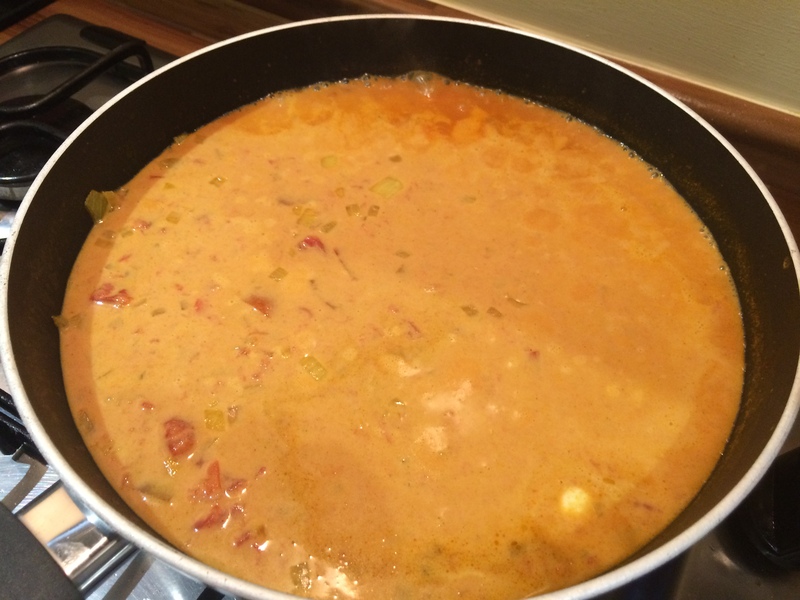 Bring to the boil, cover with the lid, turn the heat down and leave to simmer for 40 – 45 minutes, stirring occasionally. Slice the aubergine into 1cm thick rounds and lightly brush each side with oil. Fry for a couple of minutes over a high heat to get a bit of colouring. 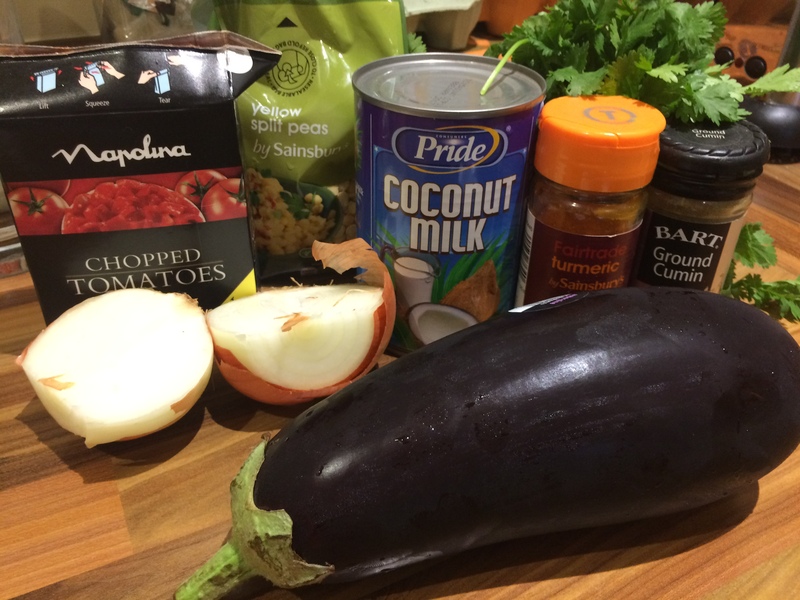 Once the dhal is cooked, serve and top with a few of the aubergine slices, then adorn with a handful of fresh, chopped coriander for colour and flavour.